From Pedicures to Puddles: tap, tap....anyone out there? Although I have come across lots of neat finds for boys and boy moms...I would love to hear what you love! Anytime you come across a neat product, outfit, store or funny story, please feel free to pass it on. We could all benefit from it. So...what are you gonna send first!? Also, if you are ever compelled to leave a comment please do! 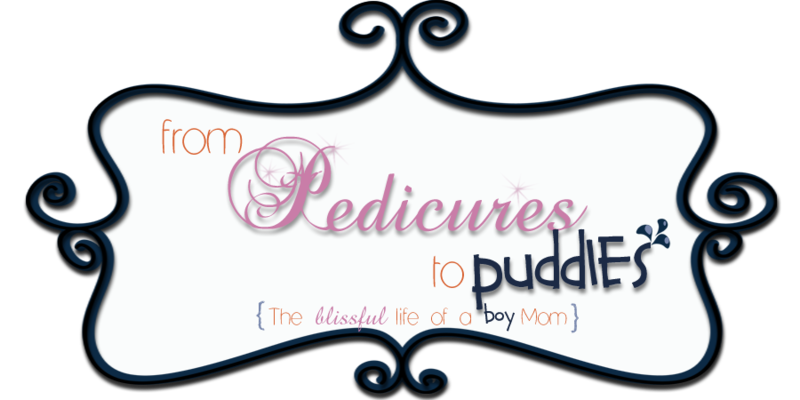 My hope is for this blog to become a place for similar moms to share the ins and outs of being a 'boy mom'. So go ahead and join the club with a comment about what you think. I know you have thoughts about the things you see here...Tell us about it!